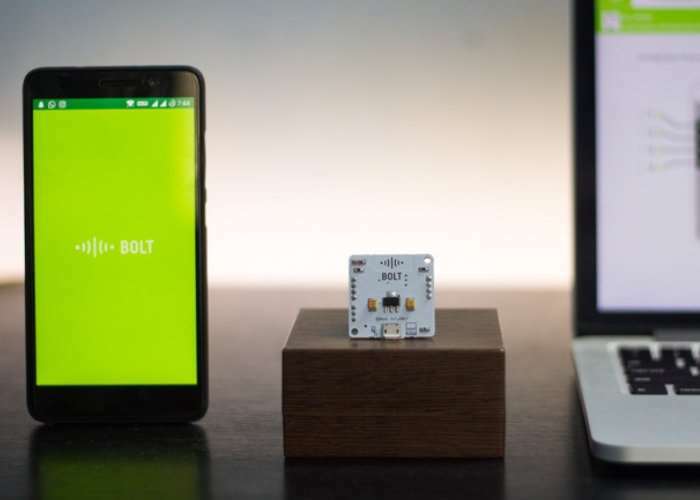 Bolt a new Internet of Things integrated platform specifically created for fast development and deployment of IoT projects has been unveiled this week and costs just $9. Watch the demonstration video below to learn more about this tiny Internet of Things development board which offers 10 times faster development times when compared to other IoT platforms, as well as an 80% reduction in the code complexity due to its built-in functionality, say its developers. The team at Bolt IoT explain more about what you can expect from their new development board. Even though IoT is growing at an exceptional speed, developers and makers around the world are unable to match up with their developmental speed. This is because of the many separate elements required to build a project. You need to aggregate, learn how to integrate from a clutter of resources on the net. The Platform let’s you remotely configure and initialise the pins on your Bolt WiFi module. Which means you can adapt to hardware setup changes that have been made remotely when you want to add more sensors or actuators to your existing product. The Bolt Cloud gives you the option to code directly on the dashboard besides uploading the codes that you have saved offline. These codes that you build are your ‘products’ and can be linked to any of your Bolt devices Over the Air. Bolt is now available to back via Kickstarter with early bird pledges starting from just $9 and delivery expected to take place during November 2017. For full specifications and more information jump over to the official Kickstarter campaign page via the link below.